Ever think of living in a modern masterpiece? Who hasn’t? Finding the perfect house can often be a challenging experience, especially when there are many beautifully constructed homes to choose from here in Austin. 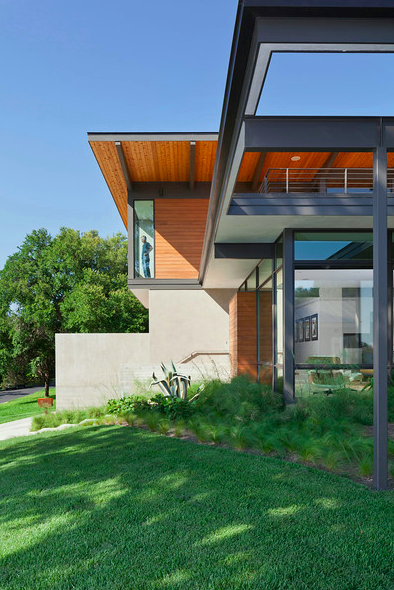 The 28th AIA Austin Homes Tour is here to inspire. Whether you’re looking to purchase or rent a new home, looking for a fun way to spend an afternoon, or need some design insight; the AIA Austin Homes Tour can provide you with any of these services. This tour is one of the greatest ways to see “the best of the best” in terms of home designs. From modern architecture to more traditional to fabulously chic, these properties will take you on an exquisite design experience of a lifetime. The tour specifically showcases 11 brand new or recently remodeled homes spread throughout Austin’s city limits. The tour highlights some of the most talented, eclectic designs from local architects of Central Texas. It will be taking place from October 25-26, 2014. The tickets are $35 in advance and $40 the weekend of the tour, and are available for purchase online at AIA’s website, Mockingbird Domestics and Zinger Hardware. This two-day guided self-tour will introduce you to the most stunning, contemporary designs of the year. Grab your friends and your families for this fall must-do activity.You will not want to miss these strikingly gorgeous homes and views.